Social media has become so popular in such a short period of time that many worry its users exhibit signs of addiction. But, are platforms like Facebook, Instagram, Twitter, and Snapchat actually addictive, or are recent reports guilty of being overly dramatic? Today, half the population of the world logs into some form of social media. Whether they’re snapping, tweeting, posting, or filtering, the number of social media users has seen a meteoric rise, and there are few signs of that slowing down. Even with Facebook’s user growth reaching its inevitable plateau, there are dozens of other platforms primed and prepped to fill the gap. Considering that the average person is spending nearly two hours per day on social media, the risk of addiction seems high. However, popularity and addiction are hardly synonymous. That’s why a deeper dive into the the relationship between social media and addictive behavior is important before we start reaching conclusions. By looking into the science behind the apparent “addiction” to social media, the collective awareness of its users, and the mentality of the companies behind these platforms, we can hope to better understand the reality of supposed social media addiction. The word “addiction” is thrown around a lot, often in regard to frivolous matters. From eating cookies to watching Netflix, people have a tendency to trivialize the serious term of “addiction” by conflating it with a strong love for something. Understanding addiction from a scientific point of view is critical in finding out if social media falls into that category, or if it’s just another haphazardly-labeled activity. When it comes to health, trusting Harvard’s basic explanation is usually a pretty good idea. “Addictive drugs provide a shortcut to the brain’s reward system by flooding the nucleus accumbens with dopamine,” reads an adapted version of Overcoming Addiction: Paths Toward Recover, a report from the Harvard Health Publications. As the report goes on to say, “all drugs of abuse, from nicotine to heroin, cause a particularly powerful surge of dopamine.” So the question becomes, does social media usage release a similarly powerful surge of dopamine? And the answer is yes. Big time. “Extracting information from peers’ social networking sites pages is an activity that is experienced as especially enjoyable and it has been linked with the activation of the appetitive system, which in turn is related to addiction experience,” wrote Mark Griffiths and Daria Kuss, psychologists at Nottingham Trent University, in a recent study. In fact, social media usage elicits such a powerful surge of dopamine that you don’t even have to be on your phone for the “want” chemical in your brain to go berserk. All you need is a little reminder that social media exists. From a chemical standpoint, it certainly seems plausible that social media could breed addictive behavior. However, social media is hardly alone in releasing dopamine into the body. So does consuming chocolate, regularly exercising and getting a good night’s rest – although, in notably smaller doses. So how do we know if social media addiction is real? Well, admitting it to yourself is usually the first step. As with any addiction, you can’t get help until you admit you have a problem. 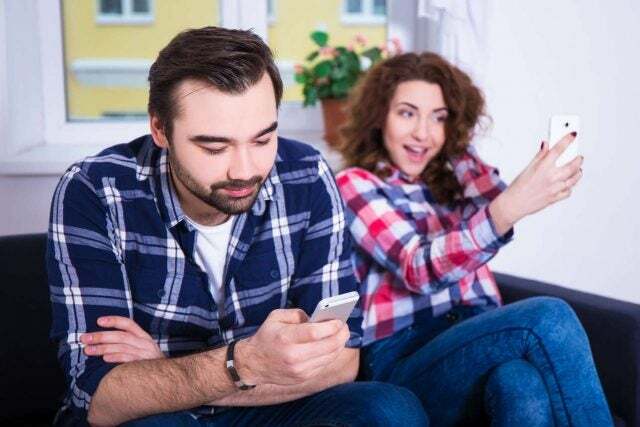 One study has already found that a large percentage of social media users are willing to admit that they are exhibiting addictive behaviors. Unfortunately, awareness isn’t enough to put a stop to their addictive ways. When asked, “How often do you find that you spend more time than intended on Social Media?” in this recent study at Elon University, 38.7 percent of respondents said it happens often; 27.5 percent said it happens sometimes; and 27.2 percent said it happens very often. In all, the report found that 93.4 percent of users surveyed were, in some way, spending more time on social media than they meant to. “This question directly connects with the behavioral piece of tolerance, stating that increasing amounts of a particular activity are required in order to achieve the same effect,” wrote Jaclyn Cabral, professor or Strategic Communications at Elon University. Nonetheless, doctors don’t let patients diagnose themselves, so should we trust social media users’ own verdicts on their behavior? Not in isolation. 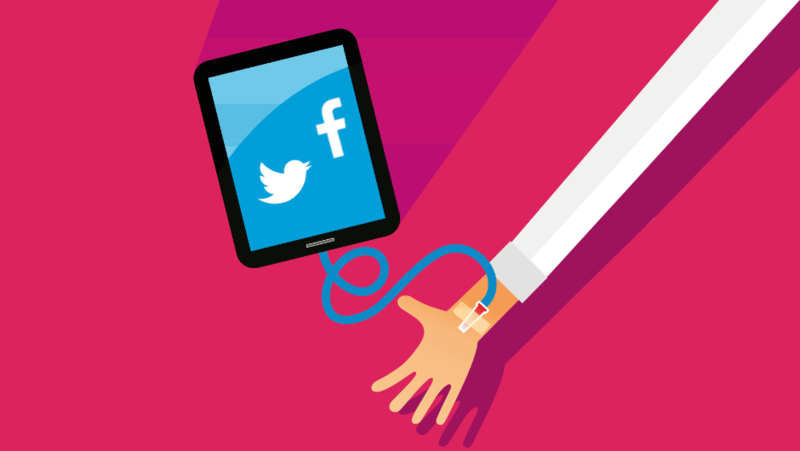 But, end users aren’t the only ones that think social media is addictive. Social media companies may run free-to-join platforms, but they’ve turned these into businesses with huge valuations. The mountains of user data they accumulate drive the entire financial models for these tech giants. And that means they need to keep users on the platforms to keep the valuations high. It would seem hard for Facebook, Twitter or Snap to deny they knew their platforms were addictive – particularly when former employees keep coming out and admitting it. “The short-term, dopamine-driven feedback loops that we have created are destroying how society works,” said Chamath Palihapitiya, former Vice President of User Growth at Facebook, during a talk at Standford University. As cigarette manufacturers will tell you, admitting you sell an addictive product is a big no-no. Particularly when addiction is likely one of the most effective (and most morally questionable) marketing tools out there. But, when you have former employees ratting you out and teenagers using social media for up to nine hours a day, you have to at least try to address the problem. That is, of course, as long as you don’t take any blame directly. While this effort is noble, it doesn’t let them off the hook for the nearly 15 years of addiction-forming platform design. Sure, they may not have known about the effects of social media at the start, but you can bet companies like Facebook and Twitter knew something was up a lot sooner than they told us. Peddling an addictive product is one thing. But honing those addictive features to be more addictive while playing dumb in public is the kind of reckless business that leads to the chaos of social media today. In addition to displaying poor business ethics, it’s also a damning smoking gun in the search to prove the addictive nature of social media. Despite all this, more and more experts, lawmakers, and everyday users are getting wise to the psychological impact of social media and are making a real effort to change the way things work. Facebook is infamously planning on “fixing” its platform in the next few years. Smartphone manufacturers are so keen on curbing tech use that they’ve begun installing responsible usage features into their phones. Uganda has even gone so far as to tax social media usage to slow down use (although the true motivations are somewhat murky). But will any of this work? It really comes down to two questions. Firstly, just how motivated are the social media companies to disincentivize the users who power their profit lines? Second, and more alarming still, is it too late to save an entire generation that could already be addicted to social media?